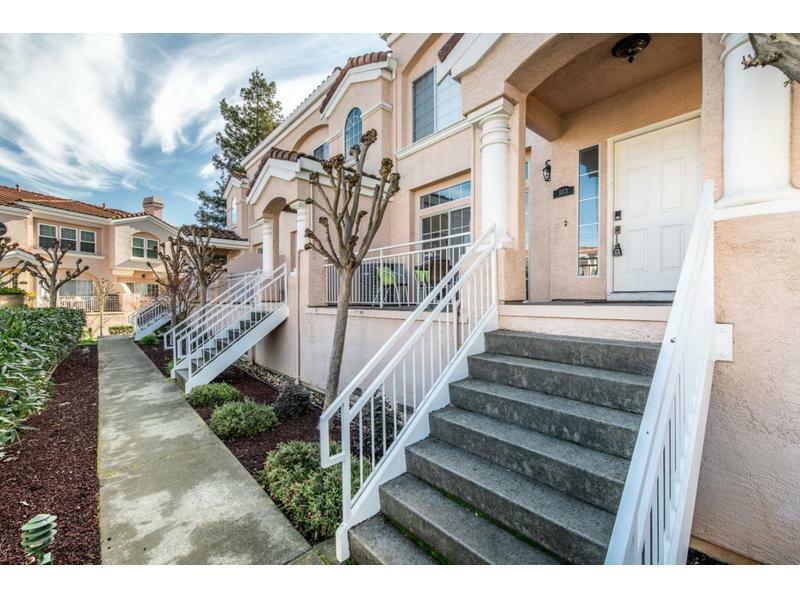 space, contemporary sophistication, elegant tri-level silver crest town home, located in one of almaden valleys most desirable neighborhood within walking distance of the 3 top schools. beautifully nestled in a quiet location. spacious and open living and entertaining areas with soaring ceilings, large windows,skylight, lots of natural light. brand new interior paint. formal entry with exquisite overhead lighting fixture. recent upgrades: quartz counters tops, stainless-steel appliances, natural stone and glass tile, engineered hardwood flooring, gorgeous spa-like bathrooms. master bedroom has his/hers closets, dual sink vanity, deep soaking tub and separate walk-in shower with floor-to-ceiling designer tile and seamless glass enclosure. large downstairs bonus room, could be used for wine room, crafts, home office or extra storage space. large front patio overlooks beautifully landscaped common area and pool. well-maintained complex amenities include sparkling swimming pool and spa.